• Testing new releases of map code and data around the U.S.
As for the “ground truth data”- it refers to collecting mapping data locally rather than by satellite imagery or other remote means. It was reported that Apple asked its employees to help with Map improvements back in October. However, this points to the concrete teams of people specially formed for mapping improvements. 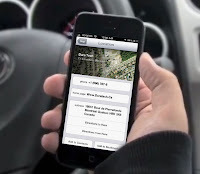 Since the launch of iOS 6 in September 2012, Apple has been steadily improving Maps. The improvements are being made to 3D buildings, Flyover and turn-by-turn navigation around the world. With still a long way to go, Apple is working hard to make Maps the product meet up users’ expectations!